"Wow, you're this big city girl that knows about cows?" said one of my fellow Toastmasters at a club meeting a few weeks ago. Quite the contrary. "I work downtown, but I'm hardly a city girl," I replied. When people outside of agriculture meet me and find out about my passion (more like obsession) for farming, they usually ask how I found my way into that field. It's in my blood. But it almost wasn't my destiny. One well thought out decision involving a pros and cons list and days of deliberation changed the course of my life, but I wouldn't know it until years later. So what changed? Let's start at the beginning. 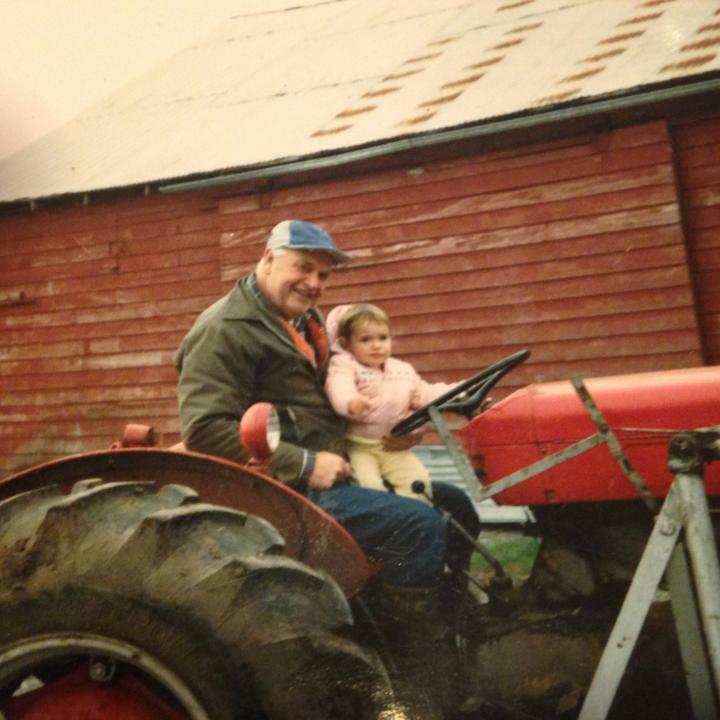 If it's summer, we knew we could always find Grandpa on the tractor mowing, raking or baling hay in one of our fields. If he was raking, then it was our lucky day since we could go ride with him. His open cab, '50s model Massy Ferguson tractor made it easy for rocks to fly up when mowing hay so kids were not allowed to ride along. Not that today's giant tractor cabs offer much more protection without a rock guard. A few of my brother's tractor windows can attest to this. 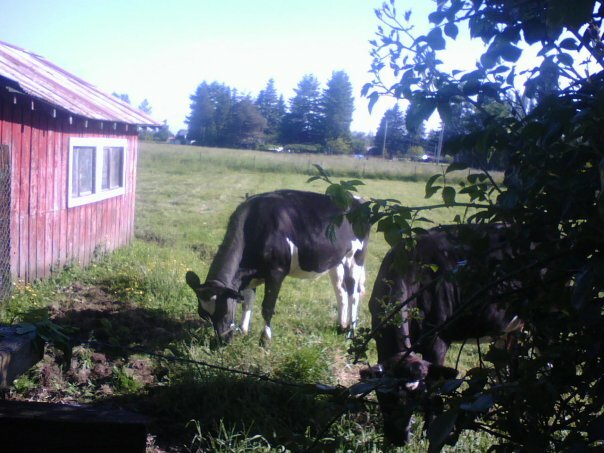 When we weren't riding on the tractor in the summer, we were helping him take the grass he just cut with the lawn mower to the cows. The cows loved fresh cut grass! Or we were racing our bikes down the lane. There was always something to do. The cows LOVED fresh cut grass! Fast forward to middle school. What an awkward three years, yikes. I was finally in 6th grade and determined to be cool, whatever that meant. 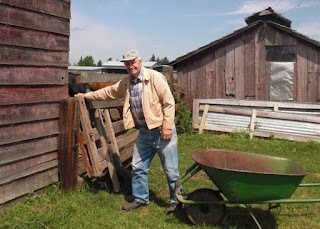 I started thinking that maybe I was finally old enough not to spend my summers at the farm and that it would be much better to hang out at the mall or somewhere else. I was drifting away from the farm to try to fit in with my suburban classmates. I was 12 and my parents weren't about to let me go off and do whatever I wanted. And rightfully so. I was 12. My uncle started talking with my brother over the next year about his 4-H days and my brother became very interested in joining 4-H, so the family attended the Christmas Party meeting of the 4-H dairy club in town. I was still too cool for this type of outing, but I went along with it. It's good I did because I met my friend Sarah there. She had just joined the club and we became fast friends. My brother was all in on this, but despite being asked if I'd like to join, I wasn't sold. Over the next few months, Sarah and I wrote each other letters (because Facebook and social media or having our own cell phones were not a thing yet) and she kept telling me to join the club and about how much fun it would be. Fast forward three months to March and the family drove up to Monroe, determined to purchase a 4-H calf for my brother. "Are you sure you don't want one too? Are you really sure? 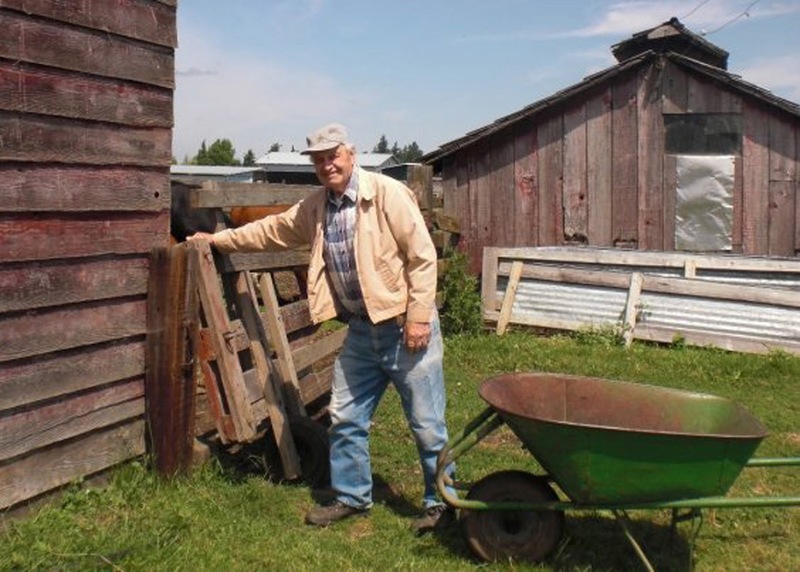 We are here and there are cows...," My dad continuously asked. Nope, I'm good. I don't need or want a cow. Thanks. Ha, well that all changed on the ride home from the youth calf sale. "I think I want a cow!" I announced. "What?! We were just at a sale and you kept saying you didn't want a calf!" My parents exclaimed. I find all of this hilarious now. During the next few weeks, we went out to one of the dairies in town and picked out a calf and bought it. Meet Allie, my stubborn three-month-old Holstein calf. What a pair we were. I had no patience and she didn't understand what happened and why she was not hanging out in the heifer barn with all of her friends. The calf wouldn't move or cooperate. I really didn't know what I was doing either. And no surprise here, we placed last or second to last at every show that first year. 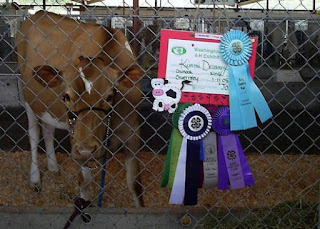 It all came to a head at the state fair that year when Allie was in heat for the first time and not only did we lose miserably, but she ran into other cows, almost knocked over the table with the ribbons and dairy princesses and tried to destroy the fence separating the two show rings. 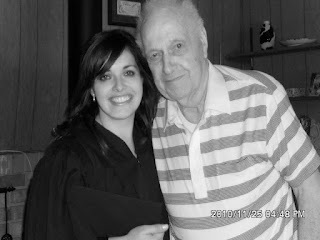 It was all I could do to hold it together and maintain my composure. Until I got to the barn. I tied the heifer up in her stall and went over to an area where I was sure no one could see and hear me and started crying. I couldn't do this. What was I doing anyways? This just wasn't worth it. Enter Amanda, who's cows were tied on the other side of the wall that I was sitting near. Turns out that she placed one spot ahead of me in that class. She heard me crying and came over to see if I was okay. She was in her second year of 4-H and could relate to what I was going through. That conversation is why I didn't quit showing cows after that day. You never know when something you say will make such a significant difference in someone's life. The years and cow shows that followed went much better. I learned what I was doing, began to love working with my cows throughout the year to train them and we placed high at the shows. I also became involved in club leadership positions. As I learned what I was doing, I relaxed quite a bit. I'm sure my show cows appreciated that. Ha! I learned a lot about grit and perseverance from showing cows and my overall experience in 4-H. And Amanda? She's been my best friend since that day in 2001. We laugh about it now. 4-H and showing cows isn't actually about the cows or the rosettes you get from winning. Hanging out with cows at the fair is awesome, but that misses the point. 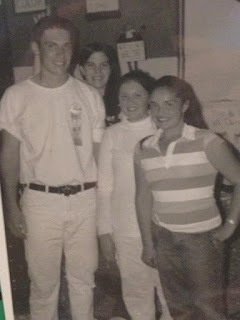 It's about the lifelong friendships built at fairs and club meetings, like the ones I still have with Amanda and Sarah, and the life lessons learned in the barn and in the show ring. Until 4-H, I was extremely shy and public speaking terrified me. 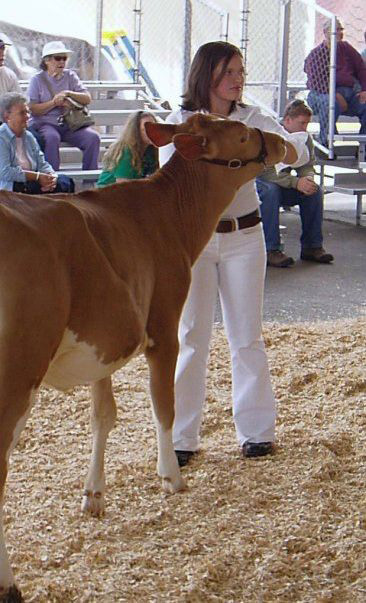 The required annual demonstrations about dairy topics to the rest of the club eventually changed that. That's why I thought it was ironic when, at a different Toastmasters meeting, I drew the topic "Which charity/organization would you donate your time to?" I chose 4-H. That's a given. The organization, my fantastic 4-H leaders and everyone else involved with it gave me an opportunity that completely changed the course of my life. It's because of this childhood experience that I decided to major in agriculture in college and pursue a career in one of the best industries around. To say it opened doors for me is a huge understatement. It's also ironic that the organization I joined in 2017 (Toastmasters) to polish up my speaking skills for a few upcoming keynote addresses - one ironically to 4-H members - is drawing parallels to the one I joined in 2001 (4-H) that helped me get over my fear of public speaking.